Gerry Moffatt’s bio reads like a list of one-uppers. You’ve paddled some sick rivers? Well, Moffatt was the first man to descend all the major rivers in the Nepalese Himalayas. You’re pretty proud of the time you climbed all the 14’ers in Colorado? Good for you, but Moffatt has two summits of Mount Everest while filming for various projects. 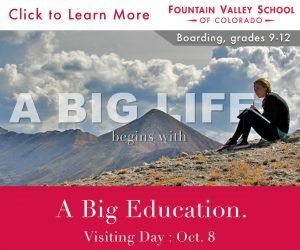 Your local paper featured your adventure exploits? 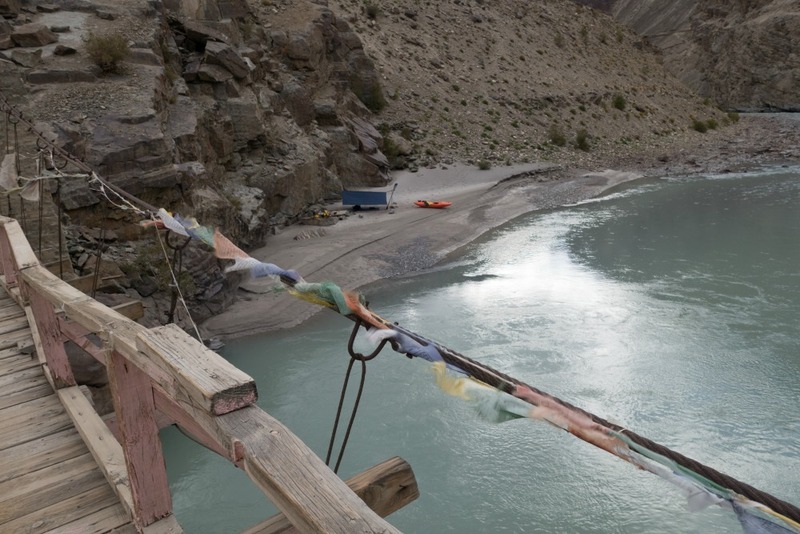 National Geographic says Moffatt is the most experienced river guide in the Himalayas, a title with which the government of Nepal agrees, since it recently named him International Ambassador for Adventure Travel and Tourism. During much of his 30-plus-year career adventuring and guiding, Moffatt lived life as on-the-edge as you can get—and not just on the rivers or in the mountains. He had an affinity for the good times that came with the territory—the drinking, the drugs, and the no-holds-barred partying. Until the good times weren’t so good anymore. With his latest film project, The Tenth Step, Moffatt and his co-producer and wife Pia Saengswang weave a beautiful story of adventure, reflection, and redemption as they document the 2015 108-day, 4,000-mile solo journey the length of the Himalayas that Moffatt did on foot, by kayak, and by motorcycle to revisit the people and places that shaped his life. In graduate school I nourished myself on writers of the diaspora—writers who were exiled or set adrift from their homelands by some set of circumstances, some at such an early age that their understanding of their “homeland” was through the absence of it rather than through an immersion in it. The far-flung writers whom I loved the most were fueled by this sense of rootlessness; it energized them, gave them not only their stories but also their purpose. When I listen to Gerry Moffatt talk about his life’s journey from Scotland to Nepal to Ketchum, Idaho, and many, many places in between, I couldn’t help but think about those writers because, inevitably, what happens to the rootless, the borderless wanderers, is that they become at home in the world. But Moffatt has taken it one step further—he is not only at home in the world, he has embraced and been embraced by many homes. The Tenth Step is, in many ways, about Moffatt finding peace within himself and in doing so, coming home. Moffatt and Saengswang actually set out to make a different film, but along the way this story revealed itself, so (like all good adventurers) they changed course and adapted to it. Because Moffatt has spent his working life leading adventure trips around the world, he set out with a vision to confront the impact that adventure travel has had on the wild, spiritual, and fantastic places that he loves the most. Saengswang, who brings, according to Moffatt, “the intellectual firepower to our team,” has a successful background in social entrepreneurship and filmmaking. She wanted to help tell that story through Moffatt’s intimate relationship with India, Nepal, and Bhutan, and capture the way that adventure tourism can inspire people to ask the right questions about the places they travel and, most importantly, leave a positive lasting impact on those places. After seeing the film and understanding that context, I walked away hoping that this is the first part of a two- or three-part project. Because, ultimately, the story that unfolds for us is the way that adventure travel impacted Moffatt’s own wild, spiritual, and fantastic interior. 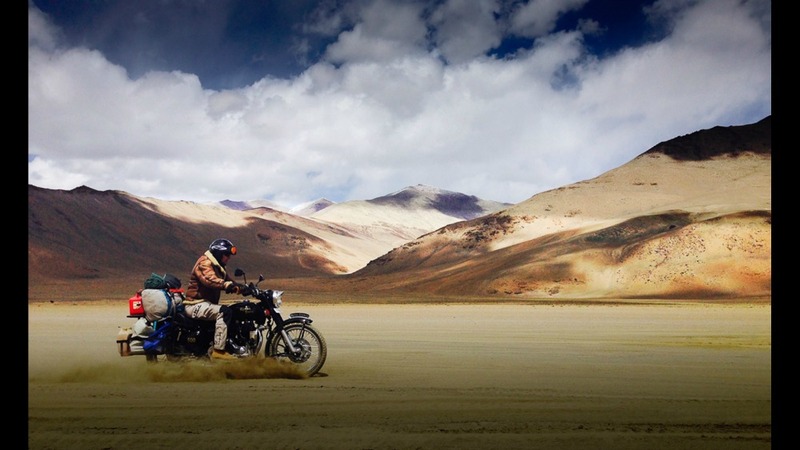 The film follows Moffatt on a 108-day solo expedition across the entire length of the Himalayas—a 4,000-mile trip that Moffatt traveled by kayak, foot, and motorcycle. The impetus behind this particular trip? Well, let’s just say this, Gerry Moffatt doesn’t turn 50 like anyone else. 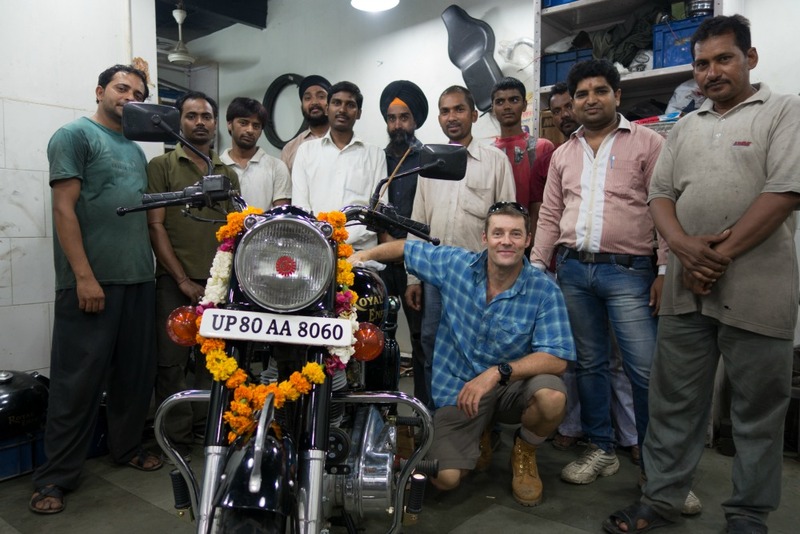 His journey began in New Delhi, India, where he bought a Royal Enfield motorcycle and worked with a team of mechanics to rebuild the bike, to know his tools from the inside out. He was going to be traveling through some of the most remote areas in the world, at some of the highest elevations and in some of the roughest conditions possible. He needed to know how to fix his bike. One of the early scenes is of Moffatt, proud new owner and capable mechanic of this used Royal Enfield, kicking up the stand, looking over his shoulder, and merging into the crazy New Delhi traffic. It’s a refrain throughout the film and throughout Moffatt’s life—entering into the fray, into the current, and making the best of it. “I don’t think it was a coincidence that I was newly sober and living in the last remaining Buddhist kingdom on earth,” Moffatt says as he opens the Bhutan section of the film. It was a place that gave him the space (as did his sobriety) to reflect on his life and renew his sense of purpose. Until 1999, Bhutan was closed to the outside world—no television, no Internet, no tourism to speak of. Moffatt explains, “When the government of Bhutan decided to open up the country to tourism, they did it carefully and intentionally. 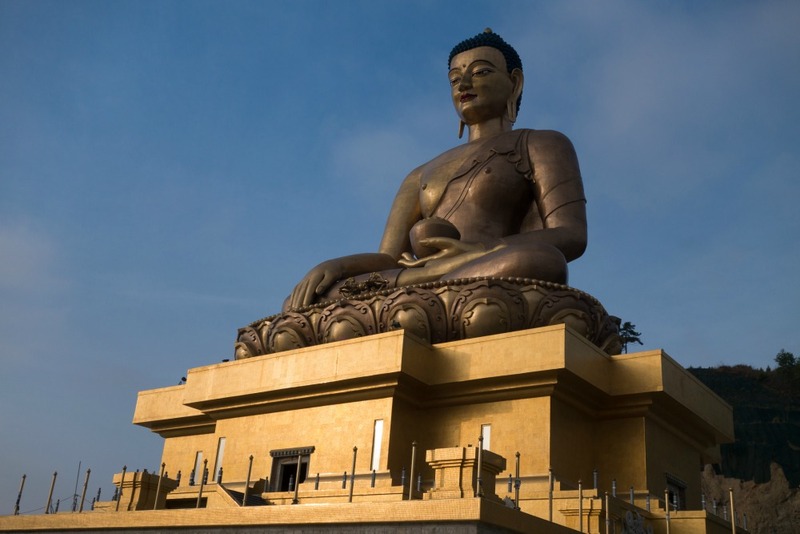 They wanted tourism on their terms, and they wanted to protect their environment and culture.” The structure in Bhutan offered Moffatt a distinctly different experience from the Wild West of Kathmandu and Nepal during the ‘90s. Moffatt has now run this section of river three times; his first time was in 1995 with a team of three who represented the eighth, ninth, and tenth people to ever run the Grand Canyon of the Stikine. He went back a second time with a team to be the first kayakers to do the “Triple Crown”—running Devil’s Canyon on the Susitna River, Turnback Canyon on the Alsek River, and the Grand Canyon on the Stikine. This expedition was filmed by National Geographic for the documentary Stikine Fever, a film that captured Moffatt’s near-fatal pinning in the Scissors rapid. To face that beast again, two decades later, when he is in a completely different stage in his life, is a fitting closure and one that allows for the sort of reflection that Moffatt had been seeking during this milestone year. About his third trip to the Stikine, he says, “I wasn’t there to conquer the river. I was there to live a question in the crucible of that canyon.” And with that, you see how far Moffatt has come over the course of the years that The Tenth Step covers. The final scenes of the movie are on calmer waters, in more ways than one. Pia and Finn join Moffatt at the tail end of his Stikine trip once the canyon opens up and the waters run smoother. We see scenes of Moffatt rafting, camping, and laughing with his family. And the once-rootless wanderer has come home. ONLINE BONUS: see extras from adventurer Gerry Moffatt’s 108-day solo journey across the Himalayas.